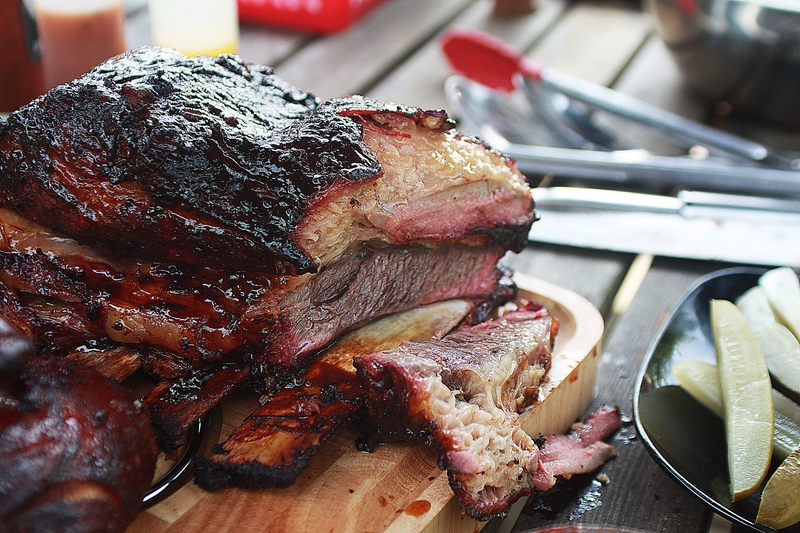 This cracking recipe, shows you some of the tricks to get the best BBQ ribs. 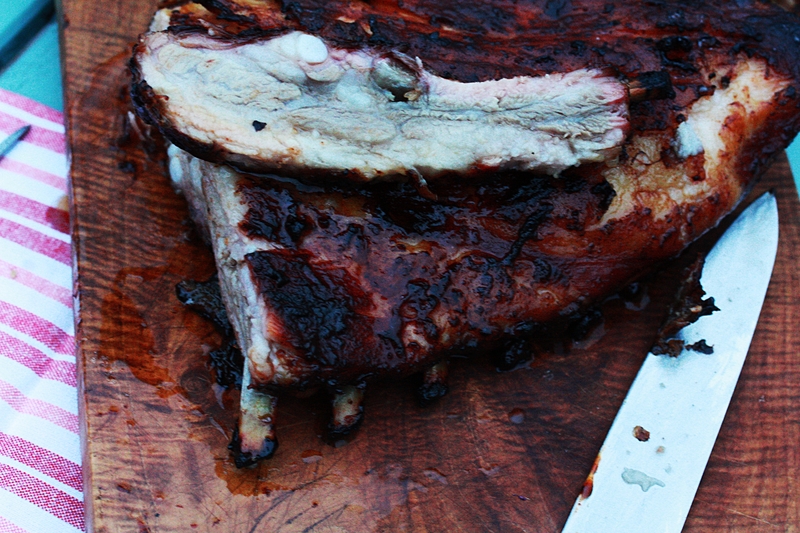 Have a look at my Barbecue Maple Ribs to see how I get the best out of a rack. I love this cut of beef, so tender and moist, with a great deep beefy taste, and a few decent sized bones to gnaw on caveman style. I usally ask for a rack of 3 or 4 short ribs with a good cap of meat and fat on. The sign that lets you know this has been cooked in a real BBQ style is the “Smoke Ring” the lovely pink ring around the edge, and the wonderful savoury crust, known to those who love BBQ as the bark. I used a competition BBQ rub I had been given to try, and rubbed this in deeply into the meat and fat, and then popped on my Bullet Smoker, with some cherry and maple wood smoking, and cooked at 140 deg C for 3 hours, a little hotter than usual, but it worked really well. I took the internal temperature of the meat up to 80 deg C and then mopped with some Jack Daniels BBQ marinade. and left for another half an hour for this to set. I allowed it to rest for 15 minutes, and served in great thick slices with some pickled gherkins and beer.